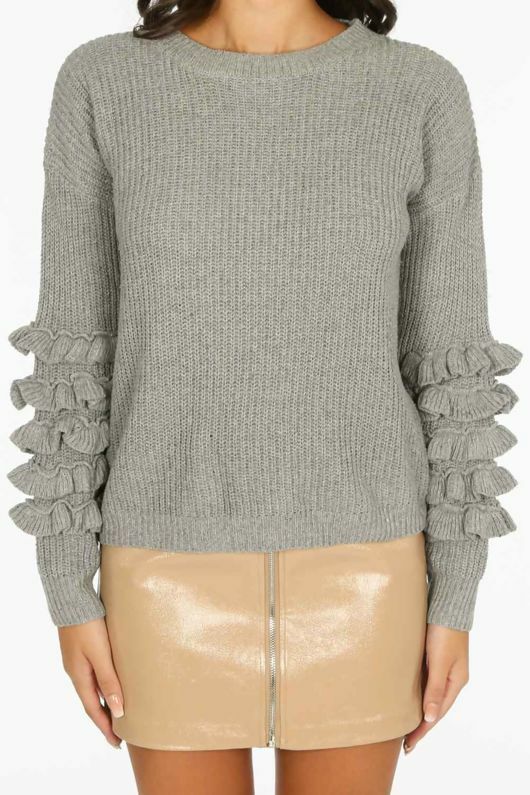 Frill it off in this gorgeous layered frill sleeve knit. 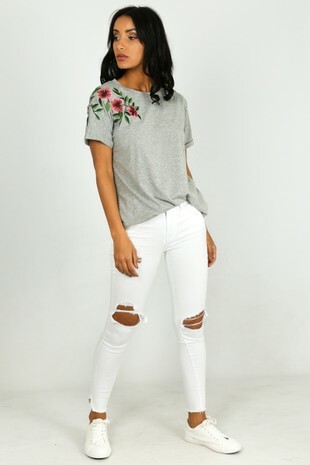 The pretty detailing add a cute touch to this relaxed fit jumper. Available in a variety of colours, style with jeans for a casual look or a PU mini and boots. Item is ONE SIZE.